Page 1 - What exactly can we do with 2 huge blowers? Nidec has been making blowers, fans, power supplies, motors, many other mechanical contraptions for 28 years. 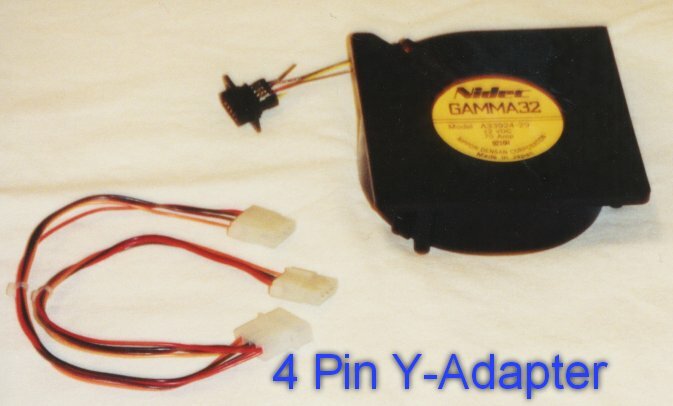 The Gamma 32, though it might seem it was made for a computer, was not originally intended to go in any kind of personal computer the way they configured it. Nidec has a very wide range of fans. They have fans ranging from 0.6 CFM (cubic feet per minute) to 171mm fans that move 240 CFM (I WANT ONE!). The reason you never see Nidec products at store fronts or even internet cooling stores is because they make mostly for OEM. You can't blame them, as this is where the money is at. Though, one will be able to pick up Nidec products online soon. Nidec is opening an online store, I will get into this later. 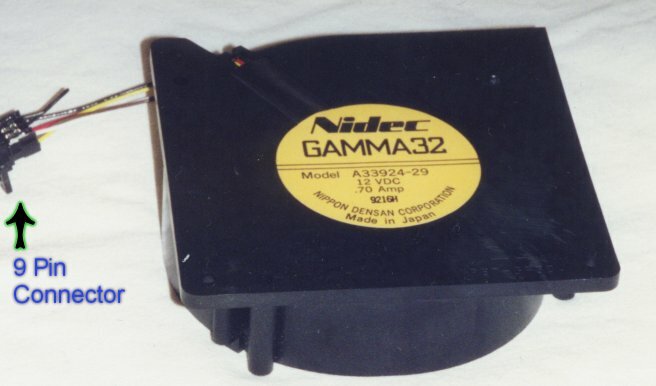 The Gamma 32 series (the first of the Gammas) was introduced in 1989 and has been used ever since, in varying configurations, in very large programs by major computer manufacturers and producers of printers and high-end audio-visual equipment. In this review I'm going to show you how you can use these to whoop up on "The Card Cooler". This is not a direct comparison, but it should make sense that this is a better setup, and here is why. You can blow constant air at a video card and the rest of your cards, but the hot air has no where to go and the fans blowing the air will start to blow hot air at the cards, rather than cool air. Even if one has a blow hole at the top of his/her case, the chances that the hot air will escape through the blow hole way at the top are slim and even then all that hot air would be traveling through your system, past your processors, etc. So, the best way to do it would be to pump cool air through your system of AGP, PCI, and ISA cards (if you even have ISA on your mobo) and then pump it out right after it gets hot. These two huge blowers can do it. Now that I have all the theory out of the way, let me show you how to convert these bad boys into blowers you can use in your computer. The 9-Pin adapters won't work in your system even with the female/female adapter (I tried, waste of money).